It begins in fields of barley and hops, and inevitably always ends with someone calling for a cold one. In a rapidly diversifying craft beer market, however, creative designers and engineers are adding new chapters, inspiring a passionate pursuit for innovations and the tools that can make them a reality. There’s nothing simple about a great tasting beer — it’s the result of complex flavor profiles that brewers masterfully tweak and adjust until they find the perfect character. Sometimes, it’s a matter of selecting the right hops — a Pacific Northwest Centennial hop to add a level of bitterness and floral aroma, or a German Spalt for a mild, slightly spicy tone. Other times it’s being particular when choosing between the nearly indistinguishable 2- and 6-row barleys. Managing complexity is part of every brewers’ day, but it isn’t a challenge unique to the brewing process. The complexity in ingredient mixing mirrors the series of steps that farm equipment developers use when creating new machinery. Experimenting, assessing quality, modifying — they’re all part of a process that begins with the seed of a new idea. Valley Dairy Farm Automation (VDFA) designs and builds customized dairy farm automation products, such as milking and feeding systems, that allow dairymen to better manage their operations and optimize output. They rely on SOLIDWORKS® mechanical and electrical design tools to help them produce their increasingly complex “smart” products with speed and efficiency. Roughly 40% of our products involve sheet metal; and because dairy applications require either stainless or hot-dip galvanized steel, design errors are costly. That’s why I investigated 3D design solutions. Click the other hot‑spots to learn more! In an effort to expand product offerings and faced with the limitations of 2D design, VDFA made the move to standardize on a 3D development platform. The move helped the company add more than 100 different products to its portfolio, including a more intelligent crowd gate. Thanks in part to SOLIDWORKS Electrical and SOLIDWORKS Premium mechanical, VDFA transformed a simple, pneumatic-driven machine into an intelligent electrical piece of equipment that utilized an algorithm to automatically manage the process. Working with integrated tools improved VDFA’s design capabilities by allowing its team to setup sheet-metal templates in the software. This made it possible to quickly develop a range of parts and visualize them in various states, reducing design mistakes and opening the door for more elaborate and complete designs. Since the designs were built in SOLIDWORKS, custom configurations were quickly and easily created without having to redesign the whole system. Crowd gates control the flow of cows to be milked by separating them into manageable groups and typically require an operator to push a button to lower and raise the gate. The move to SOLIDWORKS enabled VDFA to introduce an intelligent Valet crowd gate that automates the process. Read the full Valley Dairy case study here. Alongside rethinking how products and technology should function, farm equipment manufacturers are seeking out new ways to perfect ground-breaking products in the design phase. 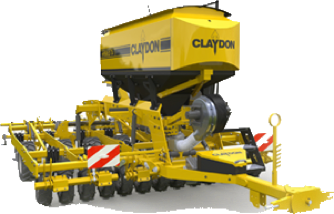 Now, thanks to more intuitive 3D design tools, companies like Claydon Drills are able to reduce costs for customers by using SOLIDWORKS to reduce waste when developing large-scale agricultural equipment. The Claydon design team cites environmental unknowns as one of the biggest design challenges they face. Heavy clay, massive stones, extreme temperatures — whatever the conditions, its machines have to work. 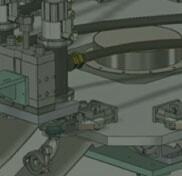 In solving this problem for new machinery, the team finds SOLIDWORKS to be particularly useful. With a range of powerful features, SOLIDWORKS 3D CAD has been great for both managers and designers at Claydon. 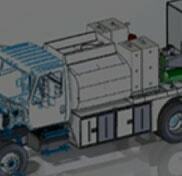 Sophisticated computer models enable the team to load-test machinery and simulate breakpoints. And, once the model is complete, Claydon uses a visual view of the assembly structure to produce the same kit and part numbers for the enterprise resource planning (ERP) system — slashing production costs. Claydon Drills and Valley Dairy are just two examples of how agricultural-related companies are using SOLIDWORKS to overcome their design challenges. As the demand for more efficient and intelligent farming equipment continues to grow, designers and engineers will need increasingly intuitive tools that allow them to assess problems at the earliest stage possible, and assure every innovation is given the opportunity to grow and flourish. Watch this video to learn more about the Claydon Drills story. SOLIDWORKS Product Trial Experience firsthand how SOLIDWORKS can make a difference in your own environment. Gathering the ingredients is only the first step in the brewing process. Continue on to the next step in the SOLIDWORKS Farm to Glass journey to learn more about the revolutionary products and next-level automated equipement hom-and large-scale brewers are using today. Timing is everything when creating a finely crafted beer. Nowhere is this more evident than at the heart of the brewing process — the milling, mashing, malting, fermenting, and cellaring. Adding ingredients too soon or boiling for too long can ruin the flavor balance and make it difficult to achieve repeatability. The same is true for the process of designing brewing equipment. 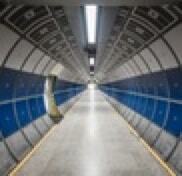 Falling behind schedule or spending too much time on rework can prove costly. 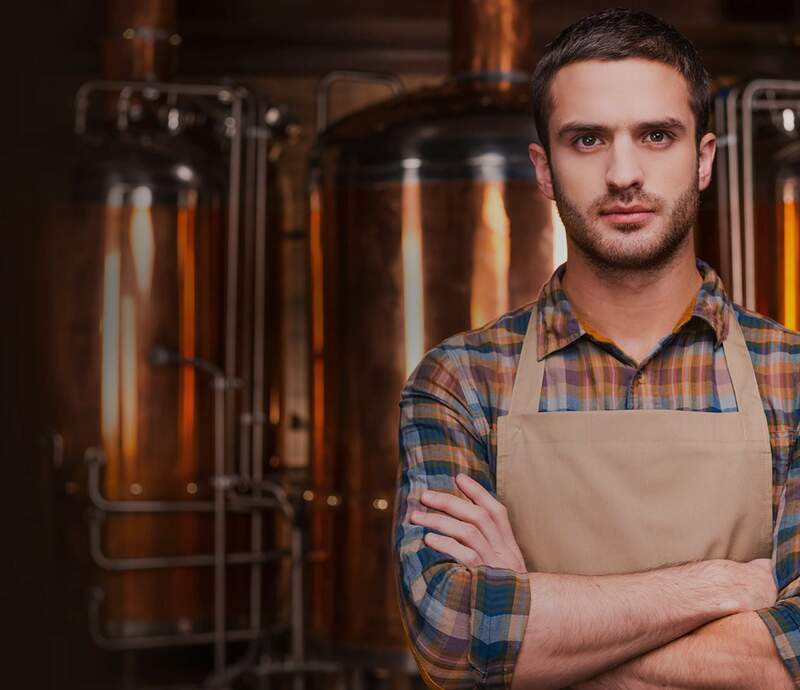 And yet, with the right set of 3D tools, engineers and beer enthusiasts — both big and small — can blend passion with precision, and create products that help manage time and automate tedious processes. Pico™ is a small-scale automated beer brewing system that attempts to make the home brewing experience almost as easy as brewing coffee. The system is capable of independently managing all the ingredients, as well as the heating, and cooling cycles required to make beer. By effectively managing the process, it brings precision, accuracy and repeatability to home brewing — opening whole new possibilities for amateurs and Nano-brew enthusiasts. 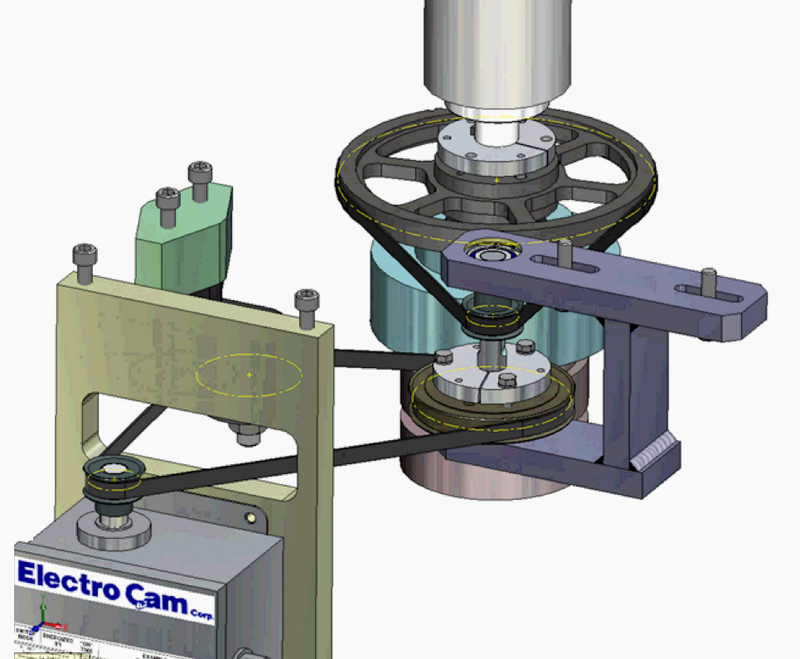 Designing and engineering the system proved to be its own challenge, and the Pico team enlisted SOLIDWORKS® to help. 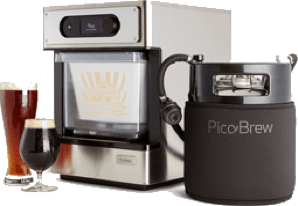 The Pico is the second-generation home brewing appliance from Picobrew … and in it they’ve made massive strides in simplicity, size, and cost. PicoBrew focused on reducing the hassle of homebrewing to appeal to casual brewers by making it possible to pre-load ingredients and then simply walk away. The Pico™ has a multi-flow fluid path with a unique patent-pending motorized valve system and numerous injection molded parts. Modeling the entire system design in Solidworks CAD gave PicoBrew a clear picture of the system and helped to avoid potential missteps during its fast-paced development. Using SOLIDWORKS 3D for sheet metal designs made it easier to work with sheet metal benders who used it as well. This not only ensured a smoother process, but also allowed PicoBrew to build to a tighter tolerance than normal. While developing a new beer comes with unique challenges, building a new brewery to house your successful startup is an extensive and complex process. Zoning changes, build outs, and government regulations are just a few of the hurdles that need to be overcome. With SOLIDWORKS, however, companies like Enegren Brewing Co. are able to address issues earlier, solidifying plans in the design stage before construction is started. Enegren Brewing started out as a dorm room project on the campus of Loyola Marymount University. As the company expanded, adding five varieties of brews ranging from IPAs to seasonals, it recognized the need to move into a larger commercial space with the equipment to match. Enegren relied heavily on SOLIDWORKS during the process, using it to layout and compose a 3-barrel (bbl) Craft Brewing System along with the facility to house it. With a validated brewery layout completed, Enegren was able to engage with government officials earlier in the process and clear regulation before starting construction. The designs also helped the planning team get more accurate cost estimates for plumbing and other installations, and all of the equipment needed to complete the project. 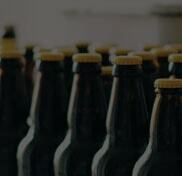 Learn more about Enegren Brewing here . SOLIDWORKS Product Trial Sign up today and discover the intuitive and powerful 3D design possibilities with SOLIDWORKS. You can’t rush a great beer, but the same can’t be said for the business of brewing equipement. 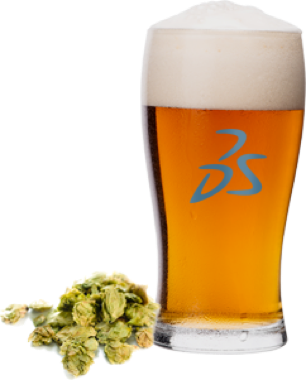 Companies like Enegren are creating new craft beer equipment with powerful 3D tools that accelerate the design process. 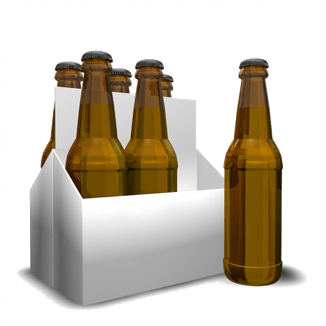 Continue the craft beer journey with SOLIDWORKS and see how 3D CAD is making original designs in the packaging industry a reality. 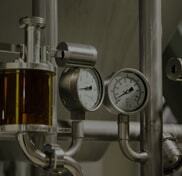 The brewing process – it’s where art and science come together in pursuit of the perfectly crafted beverage. 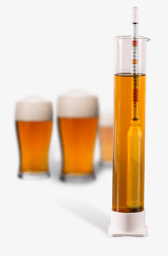 Master brewers apply a considerable amount of chemistry and engineering as they carefully manage temperature, time and ingredients. And since the ideal balance of flavors, aromas, and colors is in the pallet of the drinker, brewers also need to consistently pursue complex, flavorful concoctions that are distinct enough to set them apart in a growing market – an art in and of itself. Similarly, the process of creating original, engaging packaging, must also blend science with art to be successful. Whether it’s for physical protection, information or marketing, 3D design software is helping ensure innovative package concepts reach the shelves by ensuring their viability in the early stages of the design process. Art and science both play an important role in the development of packaging concepts, but what about the equipment used in the bottling process? Behind the scenes, industrial packaging machine manufacturers are using SOLIDWORKS® 3D CAD to apply the art and science of innovation and stay competitive in the 21st century. To compete effectively, we need to be more efficient and innovative, so we can satisfy customer demand and capitalize on new opportunities. To overcome these obstacles, Fogg Filler upgraded to a mix of SOLIDWORKS Professional and Premium licenses. These powerful 3D solutions include tools for motion simulation, stress loads, and fluid flows. It enabled Fogg engineers to develop and evaluate ideas in a 3D virtual design environment, cutting prototyping time from weeks to just 24 hours in many cases. Click on the Hot Spots to learn how 3D tools can save time in your design process. SOLIDWORKS Simulation gives you the capability to accurately test and analyze the effects of loads and boundary conditions in the assembly. This virtual testing enables you to understand the structural integrity of parts or assembles to ensure it meets strength or deflection requirements. SOLIDWORKS Weldments can be used to streamline the design of the welded base frame in this capping machine. The dedicated weldment tools allow you to easily create, trim and extend structural members in a single multi-body environment. Cut-lists are created automatically, and your designs can be quickly documented with a drawing or in the 3D environment with SOLIDWORKS MBD. Visualization is very important when dealing with the thousands of components that make up large assemblies. 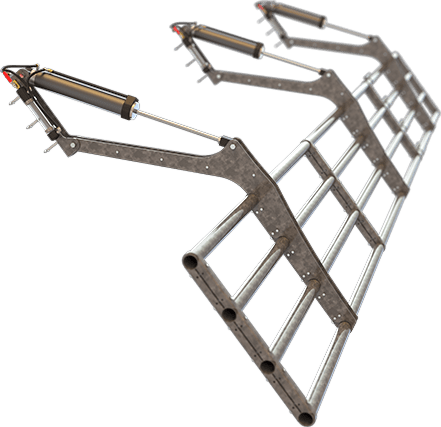 One of the many large assembly tools is Display States, which allow you to focus in on certain areas of your assembly and remove unnecessary components. Click here for a close up. 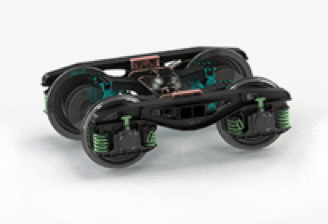 With SOLIDWORKS Motion you can animate the movement of assemblies. This enables you to define the interactions of the assembly components, using motors, springs, gravity and contact to get a visual, kinematic, and dynamic representation of the actual operation. Smart Components allow you to embed key mounting features and ancillary components inside of parts you frequently use. In this case, smart components save time by automatically creating the mounting holes in adjacent parts and assembling the proper size mounting hardware to connect components to the assembly. 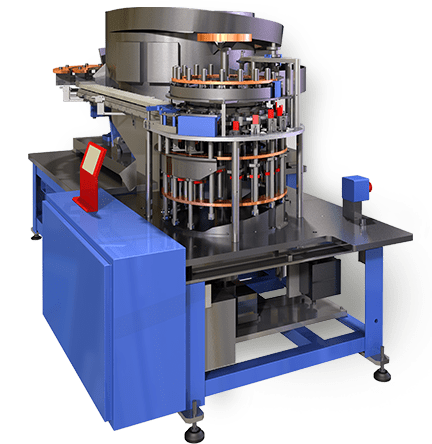 Haumiller Engineering Company designs and builds automated packaging machinery to handle bottle caps. To better understand the behavior of individual parts within an assembly and to streamline the design process, Haumiller invested in SOLIDWORKS 3D and successfully reduced its design cycle time by 20%. Get the full Fogg Filler case study here. Fogg Filler isn’t alone in revolutionizing its design process. Sidel India Pvt. 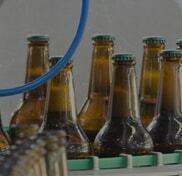 Ltd., which provides bottling and packaging machines to global bottlers like Coca-Cola and PepsiCo, used SOLIDWORKS 3D to shorten time-to-market, and reduce costs during development of its machines. Sidel India Pvt. 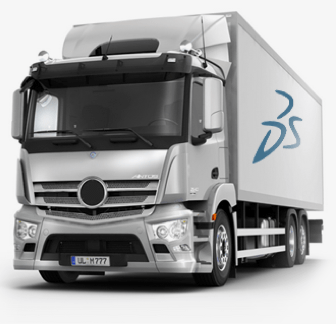 Ltd., switched to SOLIDWORKS 3D design software as part of a global implementation plan. User-friendly tools and parametric capabilities made the software ideal for designing large assemblies. Because our company designs complex machinery comprising numerous large assemblies, we knew that the ability to make design changes quickly and easily—due to the parametric nature of SOLIDWORKS—would save a lot of time. Pradeep Waghmare Lean and Industrial Engineering Manager, Sidel India Pvt. Ltd.
For Sidel, improvements to large assemblies were achieved during the design process. Weight reduction, for instance, was a critical goal with these machines, and SOLIDWORKS made it easier to manage this by allowing the designers to experiment with material properties and dimensions. The weight for individual parts was, in turn, automatically updated, while visualization tools, like interference detection, enabled the Sidel team to identify and resolve collision and clearance issues within assemblies. To get the full Sidel story, click here. SOLIDWORKS solutions also solve visualization problems related to the creation of instruction and repair manuals. With the ability to render clean, photorealistic images, Thiele Technologies, Inc., is using SOLIDWORKS Composer to bring greater clarity to its documentation. Until 2009, Thiele Technologies, Inc., supplied its customers with PDF-based 2D instructions for the operation and maintenance of its automated packaging machines. Creating and updating this type of documentation was time consuming for Thiele’s team. Working in 2D has its shortcomings…it requires a significant amount of an engineer’s time to generate exploded-view drawings and BOMs for each machine’s parts catalog, and 2D PDFs are not as easy to use by our customers for identifying parts. Daniel Hanson Engineering Services Manager, Thiele Technologies, Inc.
To help streamline the process, Thiele added SOLIDWORKS Composer to its documentation toolset. Thiele’s engineering team is now quickly and easily creating 3D documentation from the same 3D data that was used to create their products. 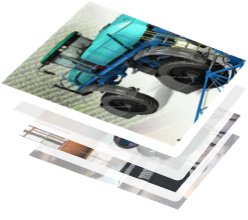 Today, Thiele provides customers with a single 3D file that contains the same information in a clearer, more concise and visually rich format. This single process change has also reduced the documentation time previously required to create exploded-view drawings and documentation from 40-plus hours to 5 minutes. Find out more about how Thiele utilized SOLIDWORKS 3D design here. 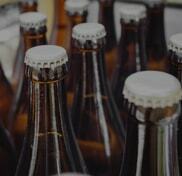 The beer is now in the bottle and it’s time to continue the journey by rail, road and ship in order to reach consumers. Continue with the SOLIDWORKS Farm to Glass adventure and discover the numerous innovations and 3D tools that help our craft beer travel from the warehouse to your local pub. As ingredients move through the individual steps of the brewing process — milling, mashing, heating, cooling and tapping — transitions need to be seamless for a brew to be successful. With so much depending on timely handoffs, accidents or missteps can set the whole process back and even ruin a perfect batch. Likewise, as products are moved out of the warehouse and onto the road, suppliers and buyers need assurances that deliveries will be made on time and to the right location. When orders are lost, or delayed, it sets the whole supply chain back, costing money and damaging reputations. Whether it’s by road or rail, engineers and innovators are using SOLIDWORKS® to identify and develop new products and vehicle technologies to help guarantee deliveries arrive without a hitch. 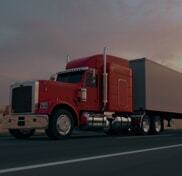 More than half of the commercial trucks on the road travel on underinflated tires. It is a ‘hidden’ problem that increases costs through lower gas mileage, frequent tire replacements and blowouts. In all, it’s estimated that poor tire inflation can increase maintenance costs by an average of more than $1,800 per truck annually. That’s tens of thousands of dollars over the service life of vehicles. No surprise then that Aperia Technologies saw an opportunity for innovation and set out to develop its own solution, and revolutionize the commercial trucking industry. Founded by a pair of Stanford grad students in 2010, Aperia began work on a proof-of-concept prototype for an automatic tire inflation technology. 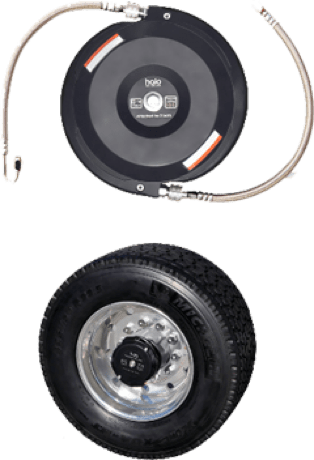 Halo®, as it is dubbed, utilizes a wheel’s rotational motion to maintain optimal tire pressure and prevent underinflation. The real story, however, lies not in what the Halo does, but how the team used SOLIDWORKS 3D tools to reduce time-to-market, and make the product a reality. Moving to SOLIDWORKS enabled us to ramp up development, which allowed us to get product on the road more quickly. 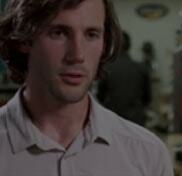 Aperia found it wasn’t difficult to recruit designers and engineers familiar with SOLIDWORKS. “Most of the people we wanted already knew how to use SOLIDWORKS integrated tools,” Richardson recounted. SOLIDWORKS features, such as cloud storage and Pack and Go, made it easy to share and collaborate. It helped Aperia realize a 10 to 15 percent improvement in its design efficiency. SOLIDWORKS Simulation Premium analysis and SOLIDWORKS Flow Simulation CFD analysis tools allowed Aperia to study thermal and airflow effects. The accumulated data made it possible to minimize the number of prototypes required. Aperia reduced tooling production time by 30% — and saved anywhere from 3 to 6 months — thanks to a streamlined process for tooling modification. For more on Aperia and the Halo® click here. Commercial truck designers face their fair share of challenges, but other forms of transportation are no exception. Rail car designers and producers, for instance, need to develop freight wagons, bogies, and rail cars faster and to increasingly higher performance standards. SOLIDWORKS 3D software is helping by giving them the visualization, analysis, and data management capabilities to do it – all in a single environment. We realized that designing in 3D would provide dramatic improvements in design and engineering capabilities, as well as our overall productivity. Astra Rail and its subsidiary ICPV SA manufacture 3,500 to 4,500 rails wagons in a single year. To speed development, and close the gap between initial design work and time to market, the decision was made to migrate toward a 3D solution. And by providing the tools to analyze, design, manage and share data in a system that is fully compatible between both companies, SOLIDWORKS put ICPV on-track to develop new products faster. Using a number of solutions including SOLIDWORKS design and SOLIDWORKS PDM Professional product data management system, ICPV revamped its development process. Instituting a more flexible, modular design approach and leveraging a growing library of 3D components and subassemblies reduced design cycles by 30 to 35 percent. The ICPV team also made good use of the SOLIDWORKS Simulation Premium tools. Utilizing them extensively during the initial design phase and to validate final design performance, ICPV was able to optimize the structure of its carriers and increase carrying capacity by 10 to 20 percent while reducing overall weight by 10 to 20 percent — resulting in significant material savings. The SOLIDWORKS Simulation environment also enabled the team to use FEA studies more frequently, leading to fewer prototypes and testing cycles. Because the findings could be compared with actual testing results on a 1:1 scale, ICPV was able to open clients up to the practice of approving designs based on FEA validations. This helped cut the time required for prototyping and testing by 30 to 40 percent. Companies like Astra Rail, Knapheide, and Aperia, have begun the journey to efficient and constant improvement, but on our journey toward the perfect beer, there’s only one stop left. Continue to the last step in the Farm to Glass series as our craft beer arrives as its final destination - the hands of eager consumers. All brewers know that the greatest pleasure comes from seeing the fruits of their labor safely into the hands — and onto the tables — of thirsty customers. As master brewers taste test and look to adjust on small-runs, they strive to perfect the balance of flavors before it reaches eager patrons. Product developers share a similar experience. As concepts transform into functional prototypes, designers and engineers test features to discover what works and what doesn’t. This refinement process is particularly crucial for consumer products, where the sooner problems can be identified and reduced, the better. And that’s where powerful SOLIDWORKS 3D design software is making a big impact. 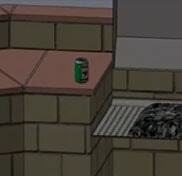 With tools like SOLIDWORKS Simulation, designers can accurately predict thermal effects on consumer products of all types — even aluminum beer cans. Understanding how a design will react in a given situation is key to its validation. But predicting environmental effects isn’t easy, or cheap, as the traditional solutions require physical prototyping or outsourcing. That’s where SOLIDWORKS Simulation can help. With the ability to easily set up virtual environments to subject designs to real-world conditions, product developers can more easily identify problems and find solutions. Check out the video below to see how SOLIDWORKS Simulation helps predict the critical impact environments have on designs. 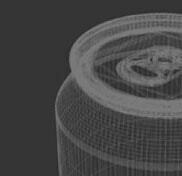 Cans aren’t the only product benefiting from 3D design software. 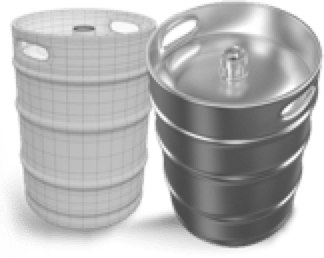 SOLIDWORKS is also being used to plan and model home-brewing equipment including small-scale cooling and delivery systems for beer. Enter the ultimate in homebrew delivery systems —a keezer. A step up from the more familiar kegerator, a keezer is a combination chest freezer and delivery system for 5-gallon kegs. 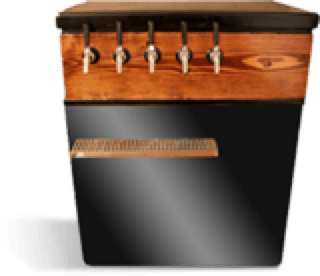 See how avid home brewer and applications engineer John Slipec, of SOLIDWORKS reseller Hawk Ridge Systems, utilized 3D design software to overcome the challenges of designing a keezer. Click on the faucets below! For more from Hawk Ridge, click here. How-To Resident home brewing guru and SOLIDWORKS Technical Sales Manager JP Emanuele, shares tips and tricks to designing electric brewing systems. Predicting environmental effects and modeling for space considerations are one thing. Ensuring a product can live up to a lifetime guarantee is another. 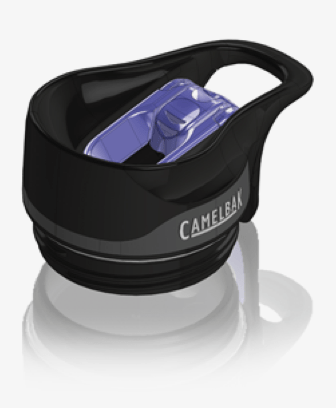 CamelBak Products LLC, the well-known developer of innovative hydration products, offers a ‘Got Your Bak’ warranty on all products guaranteeing their quality and durability for the life of the product. With pressure to deliver new products without defects, CamelBak’s team turns to SOLIDWORKS during the prototyping and testing phase of production. SOLIDWORKS is a huge timesaver — at least 10 to 20 times faster — for creating prototypes. One of CamelBak’s latest innovations is its KickBak™ bottle, which features a snap-back cap – a unique design challenge. SOLIDWORKS tools allowed the product design team to quickly iterate by changing one or two variables to create numerous design variations. Other tools such as simulated motion analysis ensured that vital components — like the living hinges — allowed the cap to open and close without problems. Of course, for CamelBak and its products, functionality isn’t the only concern. Products also need to look cool. To match these standards for form and function, designers used SOLIDWORKS advanced surfacing tools to place an undercut, where one side of the cap snaps into the other side, and to smooth the area where the users drink. This not only improved the aesthetics, but also the overall functionality. Cheers! The Journey is Over but the Innovation Goes On From the farm fields to the brew house to the packaging plant and beyond, our craft beer has finally reached the end of its journey. Revisit any of the steps by clicking here, or get started experimenting on your own home brewing dream by signing up for a free product trial below. Sign up today and discover the intuitive and powerful 3D design possibilities with SOLIDWORKS. Get a SOLIDWORKS trial today! View Resources including demo videos, whitepapers & many more exploring how SOLIDWORKS is used across multiple industries. 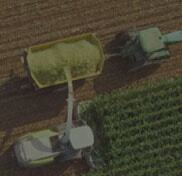 Take a look at the technology and trends shaping farming.